We were delighted to have the opportunity to work with two final year students recently. Emilie Flanagan and Lauren Doyle are completing their Media and Public Relations (BA) Honours Degree at Institute of Technology Carlow this year. As part of their studies they are asked to help develop a PR campaign for a business from the concept right through to producing promotional videos and social media recommendations. 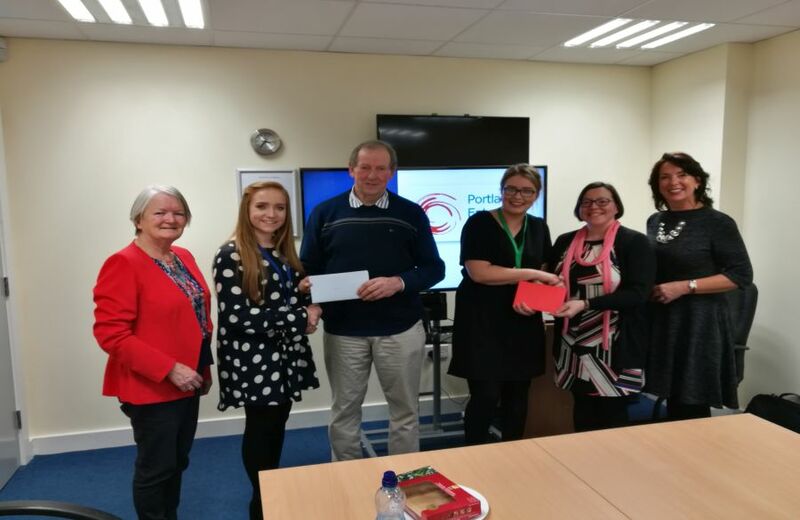 Emilie and Lauren initially met with our Centre Coordinator, Patricia Frayne, who showed them around Portlaoise Enterprise Centre and outlined the services it provides. From there they talked about some ideas for a PR campaign for the Centre. Emilie and Lauren also reviewed the existing website and social media pages as part of their project. 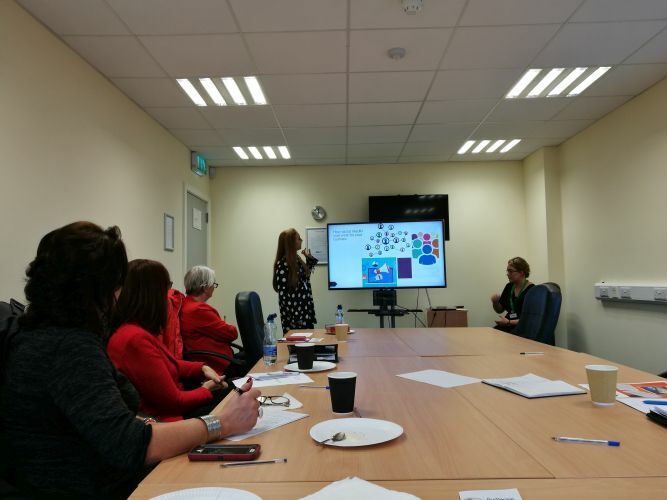 Emilie Flanagan presenting to the Board of Directors of Portlaoise Enterprise Centre recently. 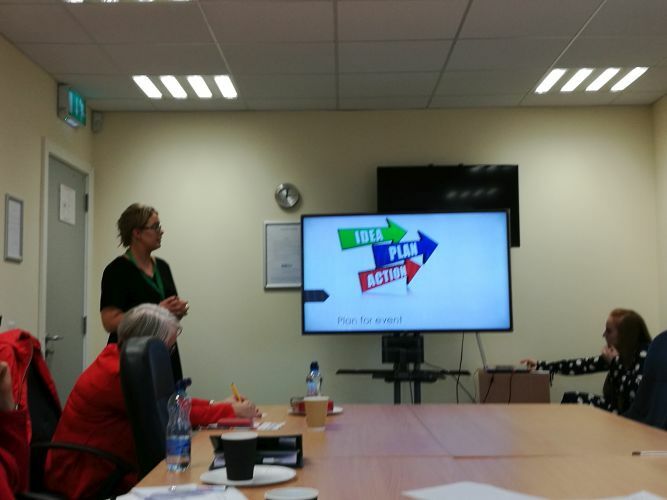 Lauren Doyle presenting to the Board of Directors of Portlaoise Enterprise Centre recently. The final part of the project involved presenting the ideas and concepts to the Board of Directors. This included some new ideas for print, radio commercials and promotional videos. The girls also gave some ideas in respect of future event planning and potential press releases. Mr. Pat Culleton, chairman of the Board of Directors, complimented the girls on their presentation and dynamic ideas. A presentation was made to the girls in recognition of their hard work. It was a pleasure to have the opportunity to work with Emilie and Lauren and we wish them every success in their future careers. This entry was posted in The News! and tagged I.T. Carlow, Portlaoise Enterprise Centre, PR campaign.